A strong, clean, classic designed sofa that has a lot to offer: comfort, style, tablets and lamps. What more can you ask! With all these amenities, just relax on it! The America Sofa is available all by itself or with lamps and/or tablets. Lamps also available separately as table lamps. Frame: Hardwood and plywood frame construction with double doweled and glued joinery. Legs: 1-1/4” tubular stainless steel in polished or satin finish. Pull-Out Tablet: (Optional) Wood core clad with stainless steel. SATIN FINISH ONLY. 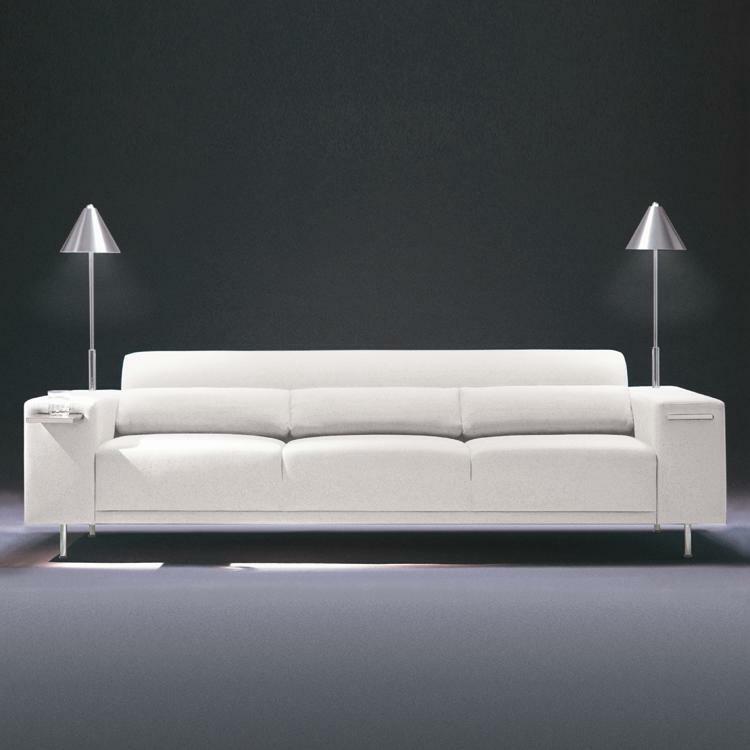 Lamp: (Optional) 10”d x 30”h polished stainless steel lamp mechanically fastened to the sofa arm. Shade available in satin stainless steel only.